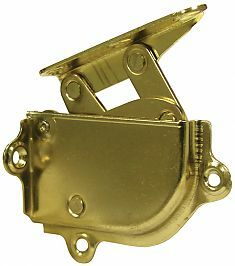 This combination hinge and support is perfect for chests or can be reversed for drop-down applications as well. The sturdy mechanism prevents lids from slamming down on hands and fingers. Fits in corner of chest, no mortising required. 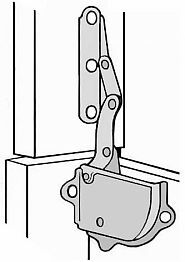 NOTE: Scissor hinge action, not recommended for use on toy boxes.